Yang Gucheng is a celebrated protector of the legacy of Ningbo, recently helped to save a villa built in 1918 by renowned architect Shen Zhusan. 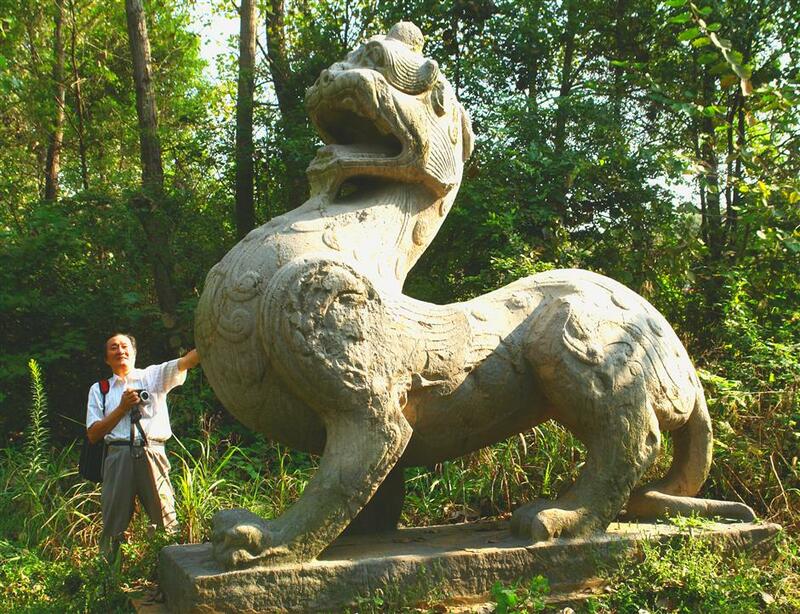 Yang Gucheng is a celebrated protector of the legacy of Ningbo’s and eastern China’s cultural heritage. Among many achievements, he recently helped to save a villa built in 1918 by renowned architect Shen Zhusan for his mother in the Ningbo village of Shenfengshui. Shen was a famous architect known for designing Wuhan University. Yang said that as well as the house built for his mother, he also donated to his birthplace a school and oil street lamps. “Studying cultural heritage helps me to know more about Ningbo and the more I know, the more enthusiastic I am to protect these works,” said the 79-year-old. Yang was born in Zhoushan, Zhejiang Province in 1938 and went to Ningbo in 1945 where at middle school he was an arts course leader. 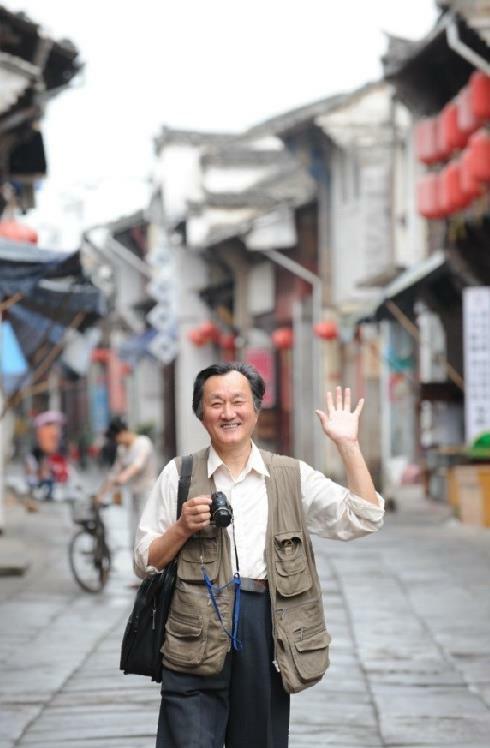 He went on to work at Ningbo News as arts editor, a job that also resulted in him gaining skills in writing and photography. These facilitated his later work as a defender of the region’s cultural heritage. He joined Ningbo Institute of Arts and Crafts in 1961 where he befriended the director Cao Houde, a man eight years his senior and a modest, hard-working craftsman in painting and calligraphy. Their friendship was forged over many years through a passion for preserving local cultural heritage. “People call me a crazy cultural heritage protector, but actually there was a pair of ‘madmen,’ Cao and me,” said Yang. Yang’s growing interest in Ningbo area’s cultural heritage was spurred on by the visit of a group of Japanese Buddhists in 1980. One of the scholarly Buddhists, Murakami Hiroshiyu, had written many books about the cultural connection between Japan and Ningbo. He opened Yang’s eyes to the importance of the Xu Xiake route as a segment of the Maritime Silk Road. The Japanese visitors’ extensive knowledge of Ningbo caused Yang to feel embarrassed that, as a local, he knew so little. After that he was determined to become better acquainted with Ningbo through its cultural heritage. The arts and crafts institute eventually restored the Tiantong Temple, a Buddhism temple in Yinzhou district, thanks to the work of Yang and Cao. Yang Gucheng visits plenty of ancient villages in Zhejiang Village. Yang’s work is also evident in the carved stones for the tombs of high-ranking officials from China’s ancient Southern Song Dynasty (1127-1279). Up to 1992, only six tombs in Dongqian Lake featured 20 carved stones. Yang discovered another 10 tombs in 1993 and more carved stones were added, taking the total to 100. Five years later, the number doubled again. There are now 10 to 16 carved stones in each tomb, featuring sculptures of officials, warriors, squatting tigers, standing horses and kneeling sheep. These symbolize, respectively, loyalty, courage, abstinence, righteousness and filial piety. The tallest stone is 3.5 meters. Yang said the sheep featured in front of the tombs because the traditional Confucian concept of filial piety “is the most important of all virtues.” The Southern Song Dynasty’s most influential high-ranking officials, Shi Hao, Shi Miyuan, Zheng Qingzhi and Shi Song, were buried in these tombs. “Compared to cities like Xi’an and Beijing, Ningbo doesn’t have many cultural relics from the Tang (AD 618-907) or Song (960-1279) dynasties, but the Southern Song Dynasty was a peak period for the city,” said Yang. He explained that many officials and aristocrats chose to live in and set up burial grounds in Ningbo because it was a relatively peaceful and beautiful “backyard garden” compared to the Southern Song Dynasty capital, Hangzhou, which was the target of occasional conflicts. Yang visited the Qiantong Ancient Town of Ninghai County for the first time in 1996 and was impressed by the well-preserved ancient buildings and structures. But he was also concerned about the government’s impending plans for redevelopment. Qiantong Ancient Town was named after its original settlers, the Tong family, who traveled from Taizhou during the Southern Song Dynasty. From the town’s establishment through to 1911, 234 local candidates achieved good grades in the imperial examination, including two passing it at provincial level. The Tong ancestors introduced a canal system, designed as Eight Diagrams, which allowed water to flow through residential areas, enabling washing. “It was just before the redevelopment funds were allocated that I, together with volunteers, tried to prevent it,” said Yang. “Suggestions to preserve the old buildings didn’t work at first and I was even reproached for intervening in their redevelopment plans,” added Yang. Becoming more proactive, Yang confronted the then director of Zhejiang Administration of Cultural Heritage, Mao Zhaoxi, at a meeting in Ningbo. He showed Mao photos of Qiantong and the official decided to visit the town the next day. Mao was also impressed by the old buildings and successfully helped Yang to preserve them. “Nowadays, people like to replace the ‘old’ with the ‘new,’ but countries like Japan and Italy established laws many decades ago to protect their cultural relics,” Yang said. He believes people’s awareness of the need to protect their heritage needs to be developed. “Heritage structures belong to everyone and the responsibility to protect them ought to be shouldered by all of us,” Yang said when asked about the challenges and possible solutions to cultural heritage protection. Another of Yang’s heritage protection “wins” involved the Palace of the Medicine Emperor which was intended for removal to make way for development of Tianyi Square, the biggest retail area in Ningbo. Yang successfully preserved carved stones for the tombs of high-ranking officials from China’s ancient Southern Song Dynasty (1127-1279). Located in the square’s northwest, the palace was built 300 years ago by the local magistrate and pharmacists to, among other events, hold worship ceremonies and pay homage to pharmacy ancestors including Shen Nong, Fu Xi, and Bian Que. The palace was expanded when the medicine industry boomed in Ningbo and eventually consisted of a full street of drugstores (today’s Drugstore Street near Tianyi Square). A school had been established to teach pharmacists’ children and many charities were organized. Yang lobbied the local government for the palace to be preserved in its historic location and succeeded in getting the People’s Daily in Beijing to write a report supporting his cause. The palace was eventually preserved and the government invested 5 million yuan (US$749,097) in the overall refurbishment and establishment of a Ningbo medicine history museum. “Structures built hundreds of years ago cannot survive the process of removal. 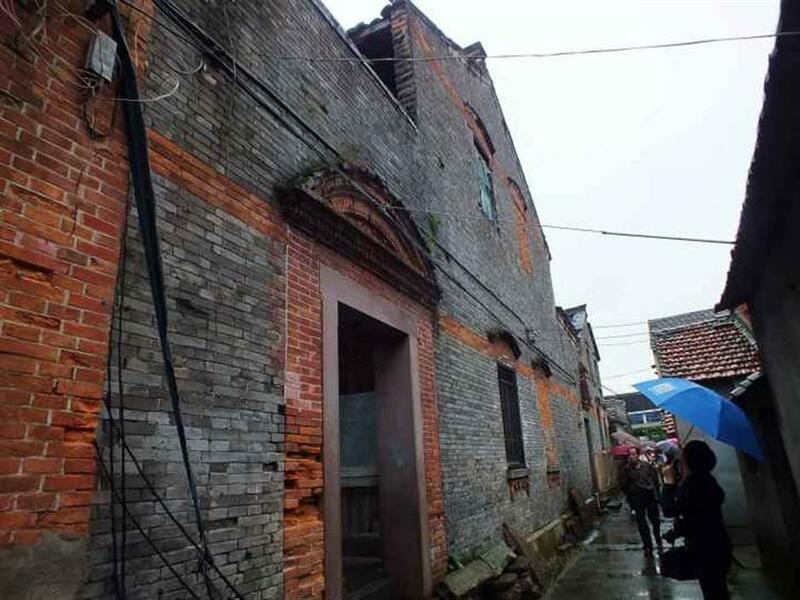 To keep them in their original location is their real protection,” Yang said about relocation of cultural heritage buildings. His experience with People’s Daily confirmed Yang’s belief that media can play a vital role in changing urbanization plans. He has strong views on the preservation of houses owned by significant or important members of society. He believes it is not enough to solely preserve the buildings but it’s also important to protect the surrounding environment, such as a plot of farmland or a cobbled road. This, he said, enables visitors to get a better understanding of the inhabitants’ lifestyle footprint. More than 1,000 volunteers are dedicated to cultural heritage protection in Ningbo. Yang believes it is important for them to not only know that Ningbo’s, and China’s, cultural heritage needs protection but also that its history should be researched and studied. He believes the more people know about cultural relics, the more aware people become of the need to protect them.